That once nice crunchy stalk of celery is now limp and unappealing. Luckily there are ways to revive it. This is a guide about reviving limp celery. If you have left over celery, it loses it crispness. Place it in a pan of water, with a sliced raw potato. Leave soaking for three hours. When you remove the celery, it will be crisp and fresh tasting. I had some celery in my fridge which had gone really soft and limp. I was complaining about it to a friend (since it was almost an entire stalk!) and he told me that the celery was just dehydrated and it was easy to get it back to its original state. 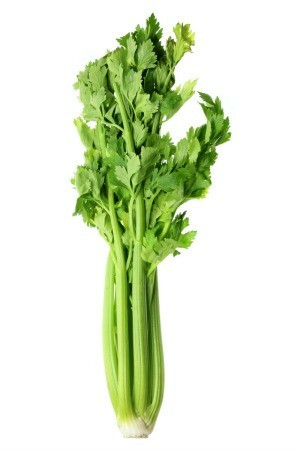 Just cut the bottom of the stalk, then use a pitcher or vase, fill with water and put your celery in. Within a few days it will be crisp again! This can also be done with carrots (bottom part at the bottom of the pitcher). Source: Tip from a friend. If you wrap your celery in aluminum foil as soon as you bring it from the store, it will not go limp and will keep for several weeks. Just unwrap and break off the stalks that you need and then re-wrap the rest. Do not wash until you are ready to use. Depending on the quality of the celery, I have kept it up to 6 weeks with this method.